A department head at a leading Russian arms producer, Almaz-Antey, was gunned down Thursday evening. The company is famous for producing advanced S-400 air-defense systems. According to eyewitness reports, Andrey Barabenkov was fatally shot in the head from behind as he was about to enter his car. The killer then quickly fled, while another man grabbed some papers from Barabenkov’s car and made off in the opposite direction. Investigators say the killing was most likely a contracted hit. Police searching the crime spot found a used 7.62mm-caliber cartridge case. They believe the assassin used a TT pistol. They also found two fingerprints, presumably left by the perpetrator. Barabenkov, 54, headed the marketing department at Almaz-Antey. A spokesman for the company said his position did not get him involved in preparing arms contracts, and focused on product promotion only. “His murder is a big shock for us,” he said, adding that the man was respected most by his colleagues. In 2008, Almaz-Antey was the best Russian defense company in terms of arms sales, a recent report said. It produces well-known air-defense systems, including the long-range S-300 and advanced S-400. The hardware is bought by the Russian Defense Ministry as well as by international customers. 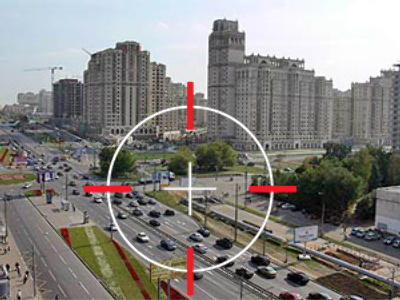 Tuesday’s crime against the company’s employee is the second in Almaz-Antey’s history. Back in 2003, the acting head of the company was gunned down near his home. The shooters were caught and sentenced to jail terms. The crime was found to be related with victim’s previous job.